Note: the following article originally appeared on AshenFoundry.com. It’s been just three short months since Intrepid Studios’ wildly successful Kickstarter campaign closed, jolting the development of Ashes of Creation fully into gear. Even knowing that development had been underway in a limited capacity since February of 2016, when I heard the game would be making an appearance at this year’s PAX I was taken completely aback. Taking a game still at such an early stage of development to an expo like PAX is pretty much unheard of, and going and grabbing the biggest booth you can find to do it at is even more unusual – and more risky, as well. My concern here wasn’t so much that Ashes of Creation would be in a bad place for how long the team has been working on it, but more that Intrepid would have trouble contextualizing it for visitors when sitting alongside the other presenters on the floor, who came almost exclusively from among the largest and best known publishers in the industry, all presenting games nearing or already at full completion. The odds were stacked against them, but from all my time spent loitering around the booth and eavesdropping on the other attendees, it seemed that Intrepid Studios was up to the task. At any given time during the day, the line for the play test was brimming with players itching to get their hands on the game. By the end of the first day, newbies were joined by veterans of the line already returning for second and third cracks at the play experience, and among them, the overall tone was largely one of positivity and optimism. That’s not to say that feedback and critique wasn’t being offered (I’ll have some of my own in just a bit), just that the overall impression being made seemed like it was a good one. As for my own impressions? Well, let’s get into those in more detail. It’s important to be extremely clear that my impressions are contextualized around expectations for a pre-alpha MMO that’s still at least 2 to 3 years from seeing a full release, so there are a lot of instances where I walked away feeling positively about something in comparison to MMOs I’ve played at similar stages of development, where I would feel markedly differently – and far more negatively – if I were experiencing them in say, a late beta stage. Obligatory development status disclaimer aside, I felt the overall experience being offered at PAX showed the team’s progress in a positive light, and, for better or for worse, I left the expo finding my cautious optimism for the title had become significantly less cautious over the course of the weekend. The first thing I noticed upon getting my hands on the game is that movement felt really good. The character movement came a lot more naturally than most pre-alpha titles do, and most importantly was very responsive to my inputs. While there was some room for improvement (jumping in particular felt a bit floaty), I find myself wanting to compare movement in Ashes of Creation’s pre-alpha to that of fully released MMOs instead of games that would more accurately be considered its peers. Compared to even fully released versions of Star Wars: The Old Republic or The Elder Scrolls Online, the movement in Ashes of Creation already feels like a noticeable improvement – though this is as much a critique of those titles as it is a compliment to Ashes. If the trailers hadn’t given this away already, the environmental art looks nothing short of fantastic, with the art direction in general taking a strong first step towards becoming one of my favorites in any MMO. The environmental assets have all the realism of a game like The Elder Scrolls Online, but with a palette more akin to the popping colors of Warcraft than the dull shades of brown for which The Elder Scrolls has become a tad infamous. The perfectly blended result is a world that’s immersive, but still a lot of fun to spend your time in. That said, these first two elements may owe a lot of their success to the out-of-the-box power of Unreal 4, and I say “may” because, well – I’m not a tech guy, and I honestly have no idea. Particularly for the technologically uninitiated, it’s difficult to gauge which parts of development are relatively smooth sailing in any particular engine, while the most difficult challenges the team will face – for example, replacing the netcode for UE4 to properly handle a large scale MMO – may yet remain a challenge lurking beyond the walled garden of the demo we were shown at PAX. On the less than impressive side of the fundamentals comes the character models and combat animations. While everything above managed to exceed my expectations for a pre-alpha title, these met them rather resoundingly, and need some serious work before release (which they’ll no doubt get). The cleric’s staff animation in particular has received a lot of attention as looking rather silly, and I did receive confirmation from Steven that its current animations are essentially entirely placeholder. Of all the systems in an MMO, combat is the one that’s the hardest to get right. It’s often evolving right up until the final minute before the game reaches full release, and sometimes even well beyond that. So while I consider combat to feel really good for a pre-alpha MMO, it’s nowhere near my expectations for a fully released product, making it hard to give a snap take on where exactly Ashes of Creation’s combat stands at this particular point in time. It’s precisely where I’d expect it to be – maybe even a little beyond that – but it’s got a very long ways to go yet. Let’s just jump in on the elephant in the room first: the combo system is extremely contentious. Some people love it, some people hate it, and I fall somewhere on the side of supporting its general intentions. I’ve already shared my full thoughts on the system in a video posted elsewhere on Ashen Foundry, but I’ll revisit them briefly due to the importance of the topic. Essentially, the combo system is Intrepid’s take on spicing up the game’s basic attack function. Instead of having a traditional auto-attack, they’ve opted for each character’s weapon skill – number one on the keyboard – to proceed through a multi-step attack chain that requires them to successfully re-activate the skill at a certain highlighted portion of the cast bar to proceed on to the next phase of the skill chain. The exact effects of each stage of this combo will be customizable as a part of your character’s build, adding an element of choice and theorycraft to the system. Successfully completing combo steps grants your character the “focus” resource, which is used similarly to ultimate in other games to power your strongest abilities. Exactly how many focus spenders you have is a decision you’ll make when slotting your skills, and will be one of the ways players can fine tune exactly how reliant their performance will be upon their success in the combo system. A number of concerns surrounding the system have been floated by the Ashes community, chief among them that it results in you staring at a UI element instead of the action occurring on screen – which is fair. I – and I think everyone else at PAX – asked the folks at Intrepid a number of questions about the UI options planned for release, which were confirmed to include resizing, moving, and transparency options, in addition to the default UI including multiple variants of each design element. This means you will potentially be able to turn that bar at the bottom of your screen into a circle that fills in the center of it, or something else that better fits your personal sensibilities (I personally kept bringing up World of Warcraft’s Arc HUD mod, which bracketed your character with curved bars in the center of your screen). Lead Game Designer Jeffrey Bard even remarked that the combo tracker may see an option of displaying on the targeted enemy’s nameplate, putting it right in the middle of the action. I wasn’t a fan of this system when I saw it in the initial reveal, but after trying it out for myself and talking over feedback with the devs, I feel a lot more confident that it’s something that adds value to the game instead of just being a tacked on quick time event to keep people on their toes. I expect that this is going to continue to be a contentious system even after more people are able to try it, but ultimately I hope it’s able to be developed in a way that most people will find satisfying in the end. Outside of the combo system, the combat was rather unremarkable. It wasn’t bad for this stage of development, but it’s not going to wow anyone either; what was shown was fairly traditional tab-targeted MMO fare, which is more or less what’s been promised for the final product, so this wasn’t exactly a surprise. Each class featured the one combo using weapon ability plus a number of abilities constricted by cooldowns, one of which also required focus to spend. The full range of abilities available to each class wasn’t yet available as Intrepid was very much shooting for a minimum viable build at this point, but overall, the rest of the combat was rather unsurprising. A lot of commenters around the internet have expressed interest in Ashes of Creation implementing action combat targeting, which would feature an aiming system instead tab selection. It’s easy to fall into the trap of seeing action combat as the wave of modernization over more traditional tab targeted games, but the truth is what targeting system works best for any given game is a lot more complicated than that. While I enjoy action combat as much as the next guy, it truly shines in smaller scale combat settings where the action is a lot less clusterered. Whether or not I really want 40 man raids is another topic on its own, but I really don’t want to do them with an action targeting system. It’s unsurprising that action combat is at its best in games like Black Desert or The Elder Scrolls Online, where the game is largely played solo or in smaller, pre-made groups that are likely to already be using voice chat. Ashes of Creation is an MMO looking to bring community and social systems with a focus on open world, free-for-all PvP combat. It sounds a bit weird to say it, but it’s important to the success of those community goals that the game’s combat system doesn’t render typing in chat completely impossible whenever a player is engaged in combat. That said, I did find myself wanting a dodge mechanic similar to Guild Wars 2’s throughout most of my play session. I wasn’t able to confirm whether or not one was in the works, but I hope it’s something Intrepid takes under consideration and could go a long way towards spicing up the combat for those seeking a more action oriented experience than what we saw at PAX. And lastly, while it’s far too early to talk about balance, I did want to address one specific point early: the shortcomings of melee. While melee is almost always a harder option than ranged, this was taken to an entirely new level in Ashes of Creation’s PAX demo. Your attack range was very, very short – it should probably be increased by around 40-60% across the board at a bare minimum. This range deficit led to your attacks being near constantly outranged by any enemy in motion, which was particularly frustrating in the context of the combo system. Making matters worse, the combo bar’s length was dependent on the length of the associated skill animation (in this build, at least), and melee skills fire off a whole lot faster than those from a bow or a spell cast. While the target window was increased to help mitigate this, it wasn’t quite doing the job in the demo we played. 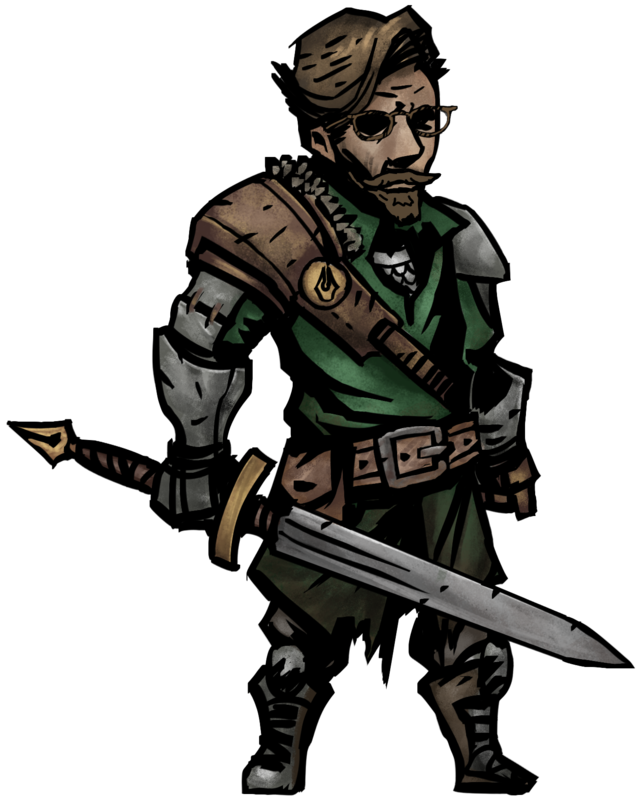 The shortcomings of the melee experience are a known issue that will be addressed, but I think it’s going to need a major overhaul when even faster attacks, like a dual wielding rogue’s, are introduced into the game. for classes with the quickest animations, Intrepid may want to consider an entirely different, more predictable timing mechanism for players to work with than the current randomized combo system. Ashes of Creation’s PvE demo had a lot of boxes to tick off to properly show off the game. Most of the game’s PvE systems – like everything having anything to do with a node – are grandiose and near impossible to properly show off within a twenty minute demo. But given the time and resources available to them, the team at Intrepid did a solid job of getting the basics across. You began your guided tour with a developer playing the role of the Dungeon Master, joining your party to narrate the experience and explain each part of the game as you came into contact with it. At first, players are led intro a vibrantly bio-luminescent cave and instructed to gather some mushrooms from the subterranean floor. This was accomplished by toggling on your gathering mode, which enabled you to use your ground-targeted cursor to gather the mushrooms. At first, this felt tacked on to me, and I’m pretty sure I spent a solid few minutes ribbing it for being silly and entirely unnecessary. I’ve seen a small but vocal community of crafters in a number of games repeatedly request mini-games to “spice up” gathering – something I’ve never really wanted – and at first, I mistook this for the primary objective of the gathering system as we saw it. But eventually, in the middle of the From the Ashes podcast several days later, I realized the point of the system while mentally running through counter-arguments to the complaint I was about to voice. The mushrooms we gathered weren’t glowing. They didn’t yell at you to “Press F to Gather” when you walked nearby them in a popup text. In the demo we were lead to them by our guide, but in a live environment, you’d only have your wits to point you to the existence of the gathering node. It’s an immersive, less ‘gamey’ implementation of gathering, and with some refinement, I think it has the potential to be a pretty cool new take on an old system. After we’d gathered a few mushrooms we were alerted that the nearby node had ascended to a new level thanks to our efforts, and were led back outside to have a look at its shiny new exterior. Sadly we weren’t allowed inside, as our caravan was about to depart. Running towards the caravan, I did what any good mage would do – I mashed my blink skill to jump ahead, ramming face first into the caravan’s wagon and sending it flying. It clattered along unceremoniously on its side while Jeffrey remarked that their horses were so strong, they didn’t even need wheels to get the job done. I actually found this bug to be a bit comforting. It looks silly in this instance, but seeing the actual physics at work reminded me a lot of all the nonsense we got up to with boats in ArcheAge, from winching our harpoon ship up out of the water and across the desert to latching it onto a passing airship and flying through the skies (at least until Trion to put a stop to that last one). Freedom is something that’s been missing from MMOs for a long time, and it can lead to all kinds of spontaneous fun that doesn’t need to be hand-crafted by a developer. While I do think Ashes of Creation should mage-proof its caravans, I’m heartened to see some potential for physics based shenanigans that might remain. We followed along the path for awhile before being assaulted by a race of enlightened birdmen known as the Sladeborn, who attacked us quite rudely. Along the way we encountered a handful of obstacles that relied on each class making use of their non-combat utility for our party to move on. The Ranger used tracking to find the way, the Mage used their ability to remove illusions to reveal a path across a river, the Cleric allowed us to pass through a poisonous haze unfazed, and the Warrior used his perception to spot the spawn points of enemies in a room that we entered. None of these felt 100% necessary to succeed, though I wasn’t able to test it without using them to make sure. Over the course of the demo we delved deep into a beautifully lit cave, glowing with the light of orange crystals and luminescent noxious gases. At the end of the dungeon (which was linear), we triggered a short cutscene, and a boss I could only describe as a molten rock dragon crawled down from a well camouflaged perch upon the wall to assault our team. The fight proceeded with exactly the level of non-difficulty you’d expect for an expo demo, but I was happy to see that it did actually have fight mechanics. They weren’t particularly punishing, but that’s really how you would want it to be in this particular setting. The actual look of the boss and his skills were very well executed, and I found the encounter to be exciting and fun, even with the general expected pre-alpha clunkiness. With the boss’ death the demo ended, and we didn’t even get any loot. When I first arrived at the booth, I remember telling Jeffrey Bard that I wasn’t sure whether or not I would actually play the PvP demo. It’s not that I don’t like PvP, but it’s something that’s pretty hard to get right early in development, and I didn’t expect it to be a particularly enjoyable experience. This would have been a mistake, as it actually turned out to be one of the most enjoyable experiences of the weekend. The demo started with two teams locked behind gates on opposite ends of an arena, each preparing for the battle over the statues located throughout. As it turned out, my mage was able to blink out of the gate keeping us locked in, and in one match, a particularly nefarious mage took advantage of this to bring the fight to the other team a little bit earlier than they expected by teleporting into their starting room. Whoops. Before and during the demo, one of the developers circled around, explaining our various skills and unsuccessfully attempting to get me to focus on the objectives. He informed me that my mage had enough damage to easily take the towers down on my own. I informed him that I was there to kill rangers and get stylepoints, not to fight inanimate objects. Somehow, my team prevailed despite me. It’s hard to give a real critique of PvP at this stage in development. It was fun, and that was great, but it was of course a far from perfect experience. Balance, for example, was absolutely atrocious, but as frustrating as immortal clerics were, you wouldn’t expect balance to be anything but atrocious at this point in the game’s life cycle. One particularly odd choice was the decision to not show a proper health bar for enemies in PvP, where the bar instead crumbled away in a rough approximation of their actual health levels that was hard to get an exact read on. I don’t really know why Intrepid decided to go in this direction, but I can’t say I’m a fan; it took much of the wind out of killing your opponents, as the added uncertainty made it a lot harder to build up anticipation for a visceral deathblow you’d normally feel coming. Although I was wary of the decision to go so big at PAX this year, my experiences lead me to believe Intrepid succeeded in putting forward a strong first look not just at their progress since Kickstarter, but for many, of themselves, as well. Ashes of Creation is coming along, and as a game that’s received far more than its fair share of skepticism, showing the world how the game game is coming to life can rightly be considered an important step. But also important was the way the team put themselves out there; every member of the team was on the floor constantly, talking with fans and attendees, sharing their vision, and positively oozing with enthusiasm for the world they’re working on building. In his own PAX impressions video, Fevir noted that Ashes of Creation feels like a game built on hope, not hype. If my time with Steven and the rest of the team from Intrepid taught me anything, it’s that every single one of them shares and believes in that hope – the hope that they can create something better. I hope they can too.